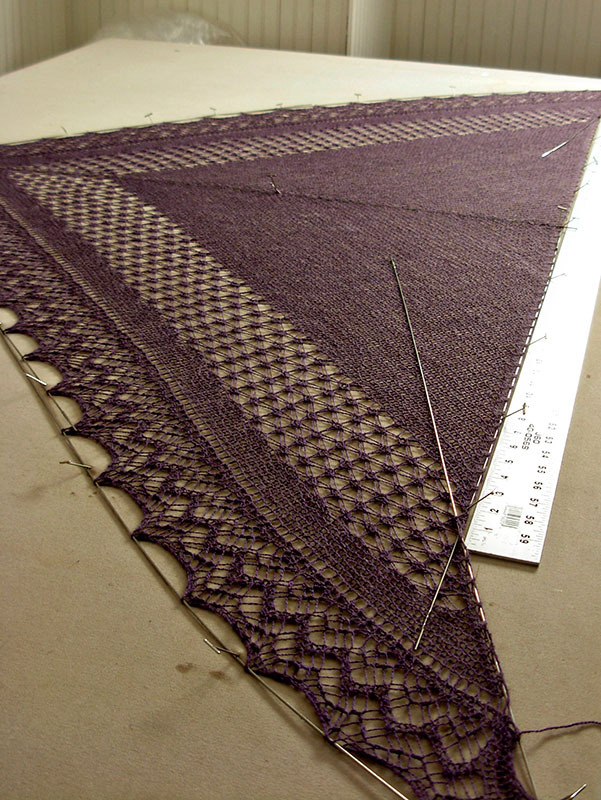 As I try to get back into the swing of things blog- and knitting-wise, it seemed the easiest first thing to do would be provide some updates on projects previously featured. First (and best) up, the one project I managed to finish last year (2013), Rock Island. The obligatory blocking photo. I hadn’t realized ’til I went to block that the top edge isn’t actually straight across. 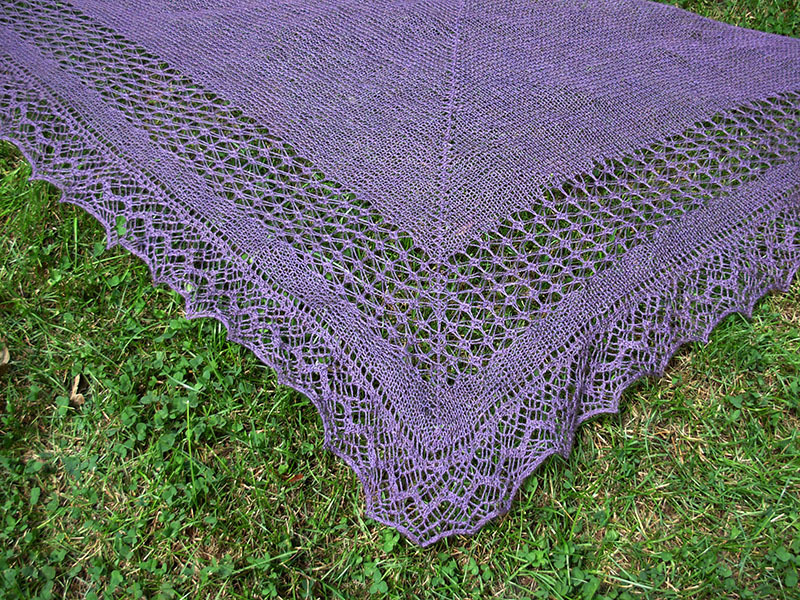 I always love how delicately lace shawls block out. They can feel so lightweight afterwards, that I almost feel as if they’ve shed pounds in the bath. 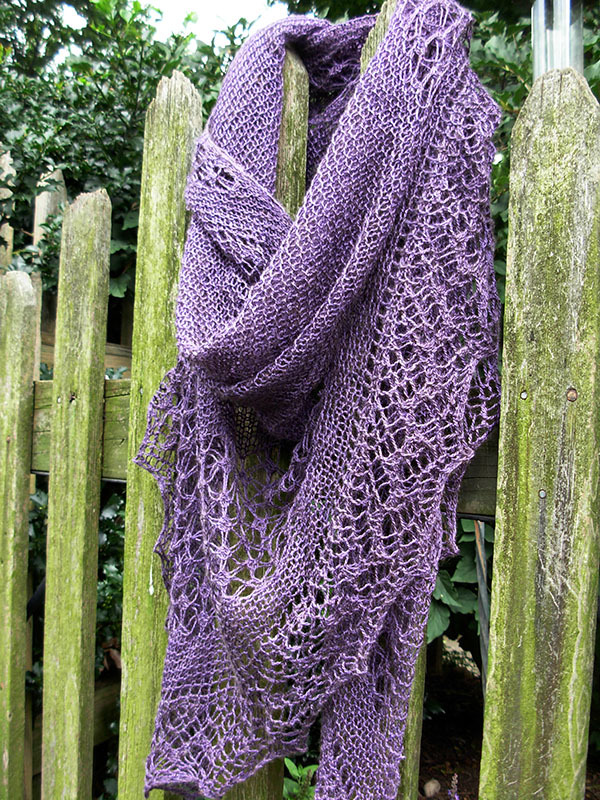 I did love knitting this. The pattern was a simple repeat, but delicate enough–and at a loose enough gauge–that attention still had to be paid to the knitting. 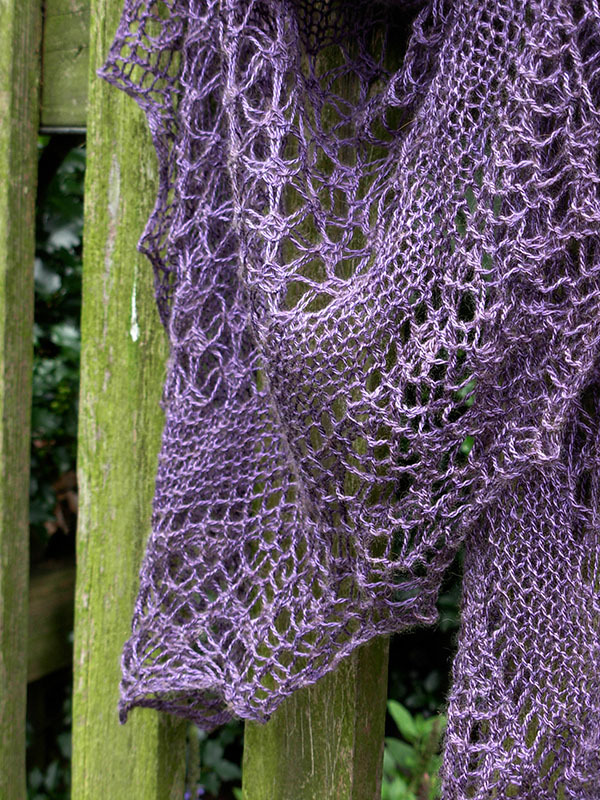 The yarn, which I believe is no longer available, sadly, was a joy to knit with. 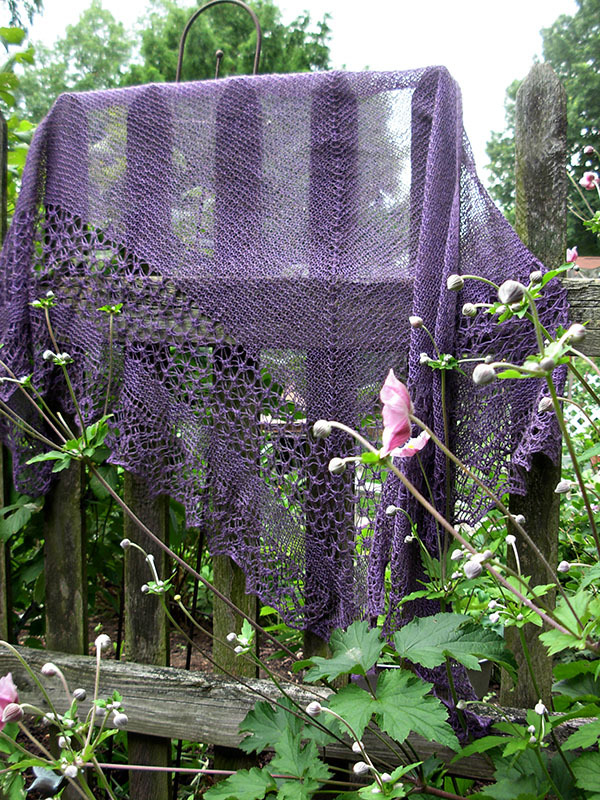 And as usual for me, the biggest hurdle to a finished object was weaving in the ends–it’s not that I mind the actual weaving in so much, but where do you put them in a delicate lace?! I /am/ behind on reading blogs, aren’t I? 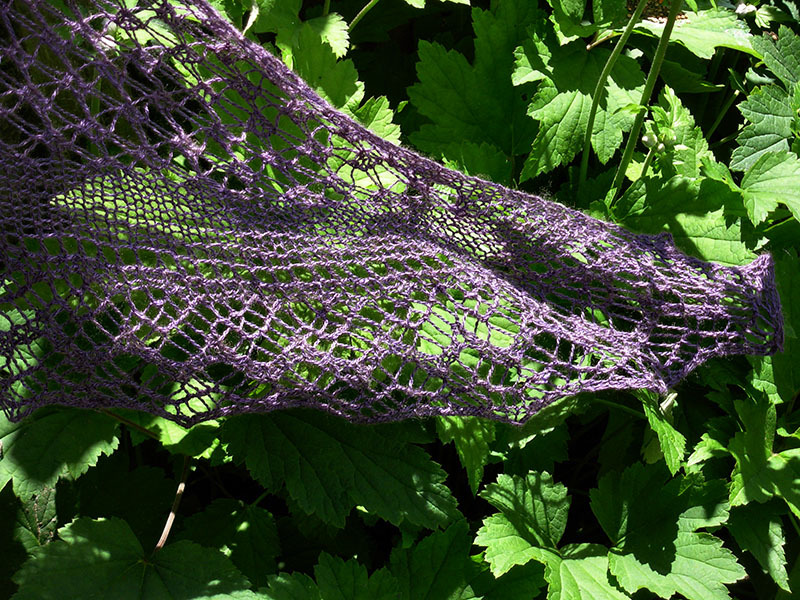 I love the color and the openness of this lace. It’s beautiful! Gorgeous. I can’t wait to cast on this pattern! Thank you! I really enjoyed knitting it.